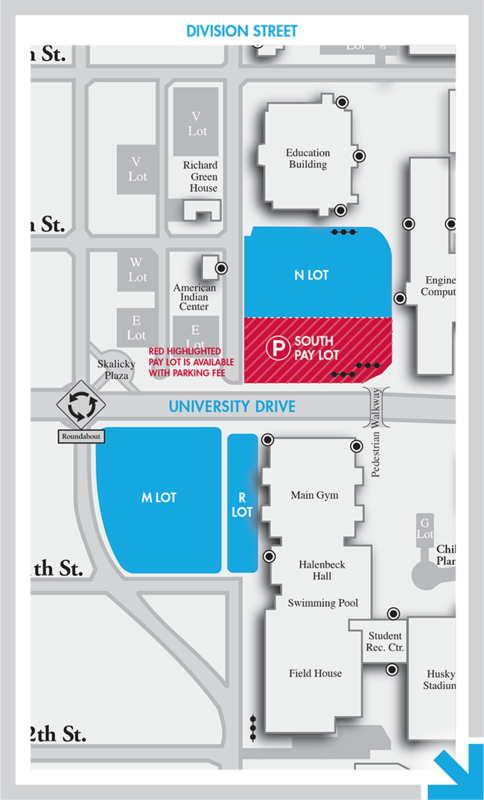 Blue highlighted lots are the best places to park when attending a Huskies Basketball game. Directions: From Minnesota Highway 23 (Division Street), turn south on Fifth Avenue and follow past University Drive. Best lots will be on the left.